I am raising funds for Shanmukh Benni 23years old who is State level body builder from Hubli District Dharwad and his performance is outstanding but financially very poor. He has won many titles like University Blue for 3 years (2013-14, 2014-15, 2015-16), Mr Dharwad - 2014 > Runners up, Dasara Sports 2014 2nd place, Mr Oxford cup 1st Place 2014, Mr Satish Sugar Classic 2013 Jai Bheem 2015 and Mr Vajradevi 2016 3 rd place, and many more etc etc. He is setting goal for National level body building to be held in March 2018 but due to lack financial support he need fund to practice, as he lost his father in the year 2016 which was the only source of income. The package is costing us Rs. 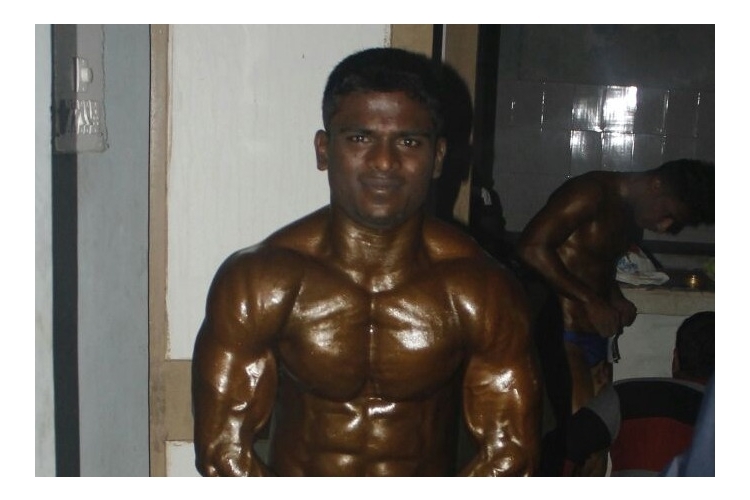 200000/- and he need funds to continue the body building as he is having so talent and confident of winning national level. Please help him raise the required amount by clicking on the donate button and/or sharing this fundraiser with family and friends. Your share could be as good as a donation for Shanmukh Benni! Not everyone can afford to take care of their loved ones. Shanmukh Benni's life can only be saved by donations made by kind people like you.